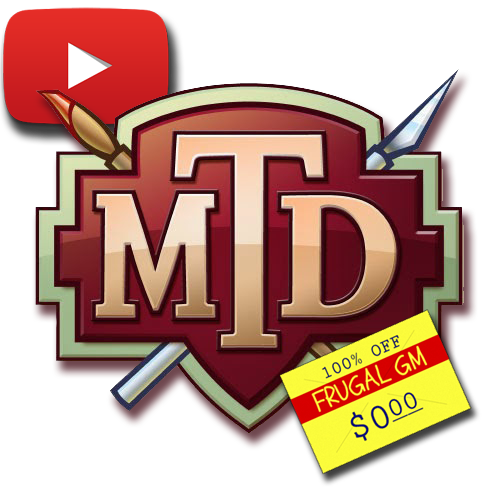 This week's Free GM Resource is another YouTube channel, somewhat in the similar vein of the popular The DM's Craft. This channel is called Mini Terrain Domain and I'm digging the videos so far. There isn't a large offering of videos yet, but it is apparent (at least to me) that some recent setup changes are leading to more videos. It seems that a new overhead camera rig was created to make filming easier and the majority of the videos have been produced since then. 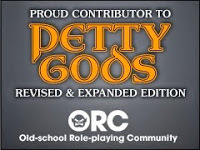 I'm not nearly as big of a RPG crafter as I pretend to be. Sure, I have a ton of supplies and projects waiting in the wings, but some days I think I just collect supplies in preparation for some catastrophic event where I have nothing to do but game or prep for games. I'm not sure if that would be a dream or a nightmare. At any rate, I enjoy watching the videos as they not only teach me how to make something in particular, but help get me to think of alternate ways of creating things....should the opportunity arise. While I do like watching the YouTube channel directly, because I get a bunch of suggestions, there is something I different to enjoy watching just the videos in the G+ feed. I think I like the clean aesthetic more than anything. Looking forward to seeing more from MTD.